One of our retailers here in Ontario has some exciting news! For those of you who aren't local, there are two Wool-Tymes stores: Wool-Tymes Kingston and Wool-Tymes Nepean, both of which are in the Ottawa Ontario Region. For many years, the sister stores have coexisted, but as the Kingston shop's internet presence grew these last few years, it's become confusing to have two shops with the same name (you can read more here on the Wool-Tymes blog). We'd like to give a warm welcome to the Knit Traders of Kingston - same great shop, now with a new name! Be sure to stop in to say hello if you're in the area (and don't forget the Eucalan while you're there!). Does this get your attention? After many requests from retailers over the years we've come out with our new Point Of Purchase display. We're very proud of our newest edition and will start rolling them out to stores early this summer. 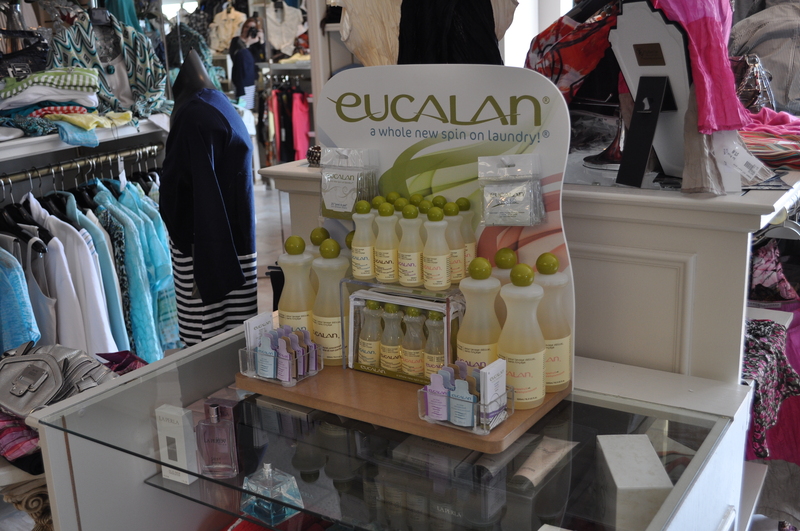 It's an attractive countertop unit and holds an assortment of our entire line of Eucalan products – including No Rinse Delicate Wash in all scents and sizes and On The Go Clothing Care which consists of our stain treating towelettes and "peel & pat" lint remover sheets. Actually, we think it's quite pretty! The graphics are soft and soothing and when the POP is fully stocked it looks so lovely. 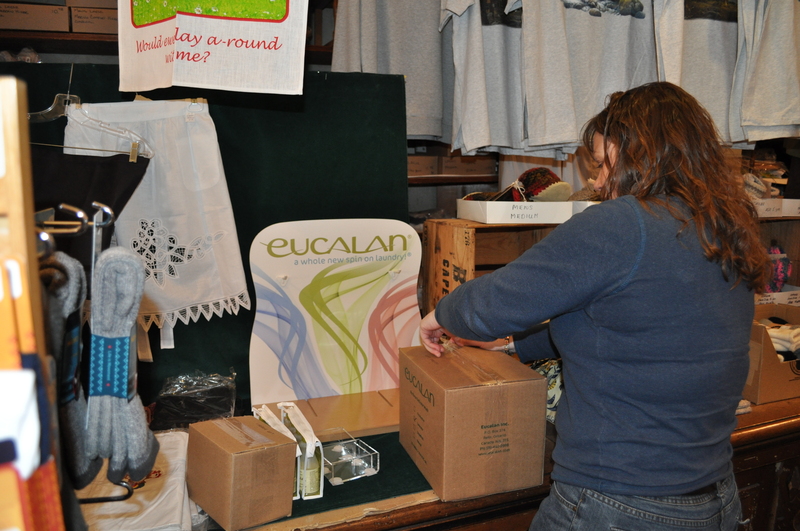 We're encouraging retailers to carry the full line of Eucalan because many stores carry only certain sizes or scents – whatever is their personal favourite. Sometimes it takes a customer to request something specific in order for the store to consider carrying anything else. Now we'll be seeing a wider assortment available in more stores and the POP is expected to draw more attention to the product. Recently we placed two prototypes in local stores. Tabatha was in fine form setting up the POP's which is good since I brought along my camera! 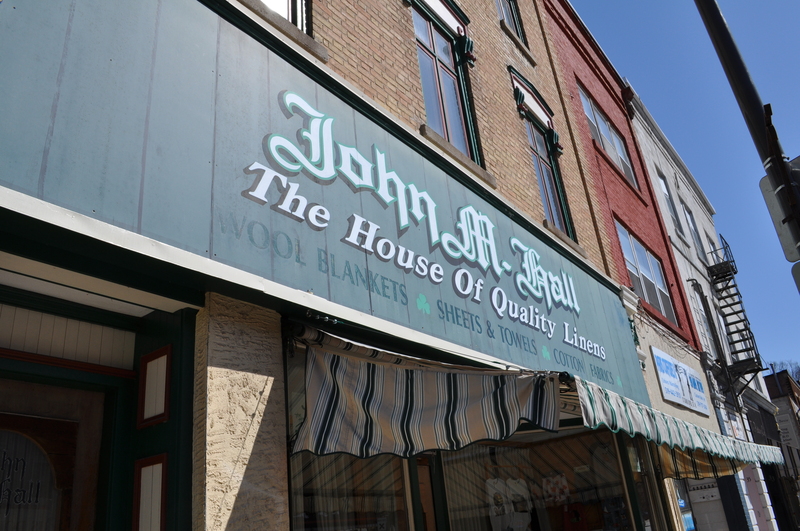 First stop is John M. Hall in Paris, Ontario. 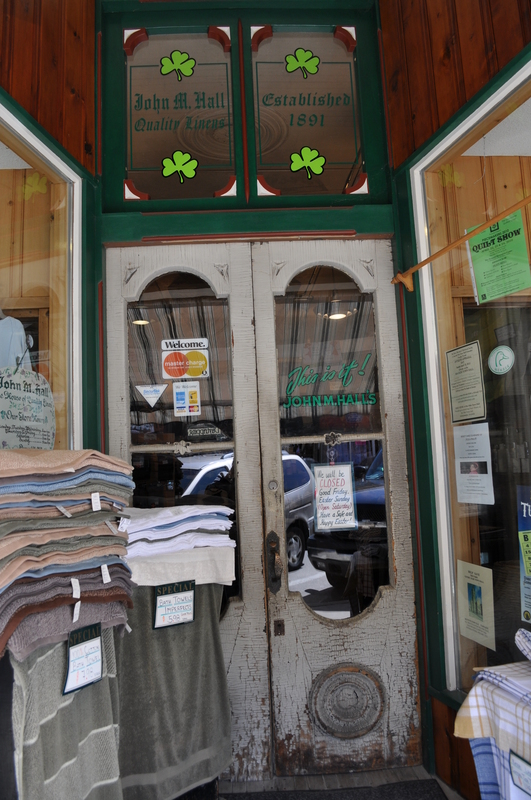 They're our local linen store and a big attraction for visitors to our beautiful town. Hall's is in a great old building with creaky wooden floors and a great view of the Grand River from the back of the store. Isn't this an awesome door?! 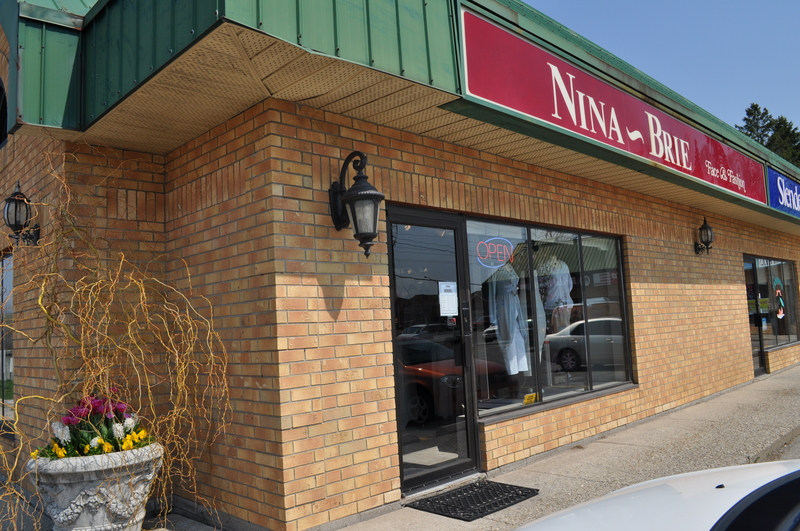 Next we're off to Nina-Brie in neighbouring Brantford. This is the place for fine ladies fashions. Actually it's where I purchased my first Linda Lundstrom LaParka about 14 years ago! It's a gorgeous periwinkle blue and looks like new thanks to caring for it with Eucalan. SewFest West 2010 is a public event for people who love needle arts such as sewing, quilting, embroidering, beading, embellishing, stitching, dyeing and felting to name just a few. The event was conceived by three business women, Joanne Thomson of Joanne's Creative Notions, Alma Laidlaw of Sew Fancy and Catherine Goetz of Distinctive Sewing Supplies. 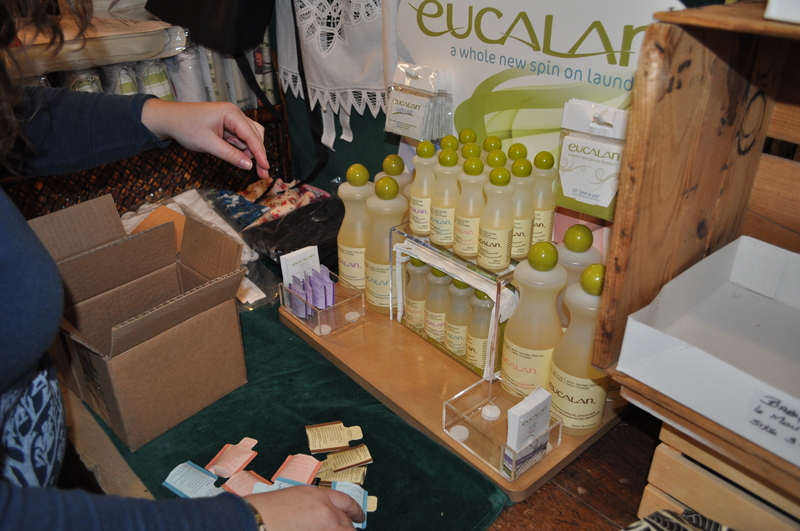 We’re happy to tell you that Herrschners will have Eucalan available and you can find them in booth #18. The show is this weekend Friday, April 30th from 12pm to 8pm and Saturday, May 1st from 10am to 6pm at Bingeman’s Conference Centre in Kitchener, Ontario. Have a fun and creative weekend! Saturday was a fun-filled day at Gadsby’s Spring Open House in Cambridge, ON. The bright and colourful men’s wear store was hopping when I arrived at 10:30am; men were busy trying on both casual and formal wear while their wives had a specialty coffee in hand and were shopping the ladies section. The atmosphere was inviting and with bistro tables and casual “living room” furniture, Gadsby’s customers were truly enjoying their shopping experience and for many, spending several hours browsing the shop and talking with friends. Large pieces of art, a bright yellow moped, and a huge stretch limo (parked out front with a red carpet leading to the front doors) added extra elements of interest and many wondered aloud what they needed to do to get a ride in the limo! 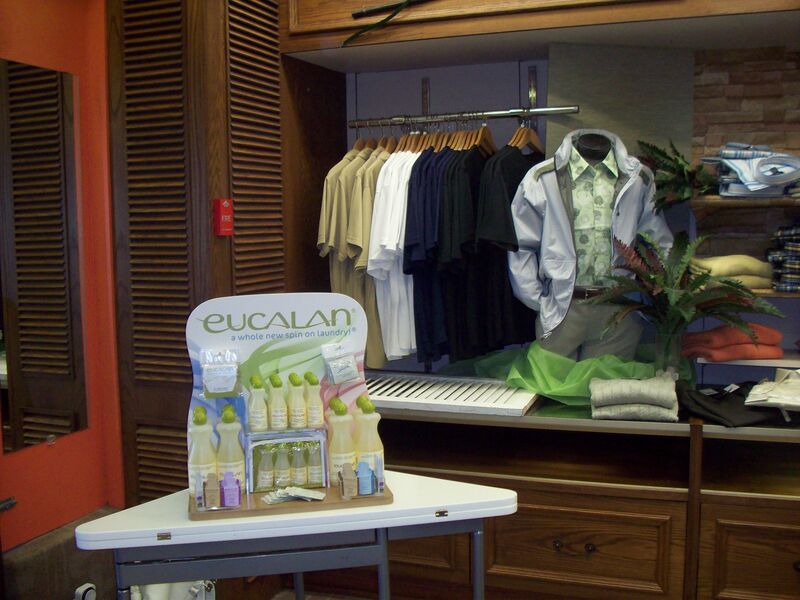 Eucalan was invited to assist customers with care questions regarding Gadsby’s high-end products such as fine alpaca v-neck sweaters, pima cotton crew necks and Tilley’s travel lines. Customers often indicated they were planning a trip soon and could use a small bottle of soap for washing up a few things in their hotel room. 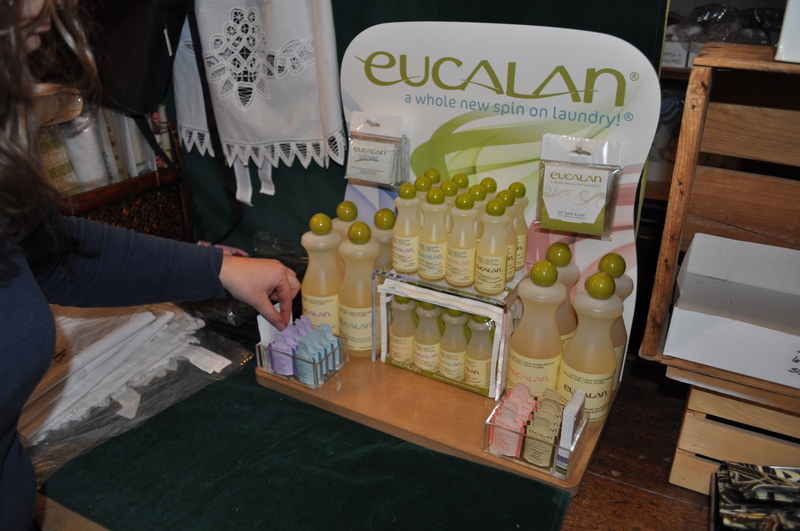 Eucalan was pleased to hand out stain treating towellettes to Gadsby’s guests and one fellow quickly used his to remove a scuff from the knee of his pants. Impressed with the results, he came back to share the story with me. After noon, a jazz band played and people hung around enjoying sandwiches, sparkly beverages and sweets. 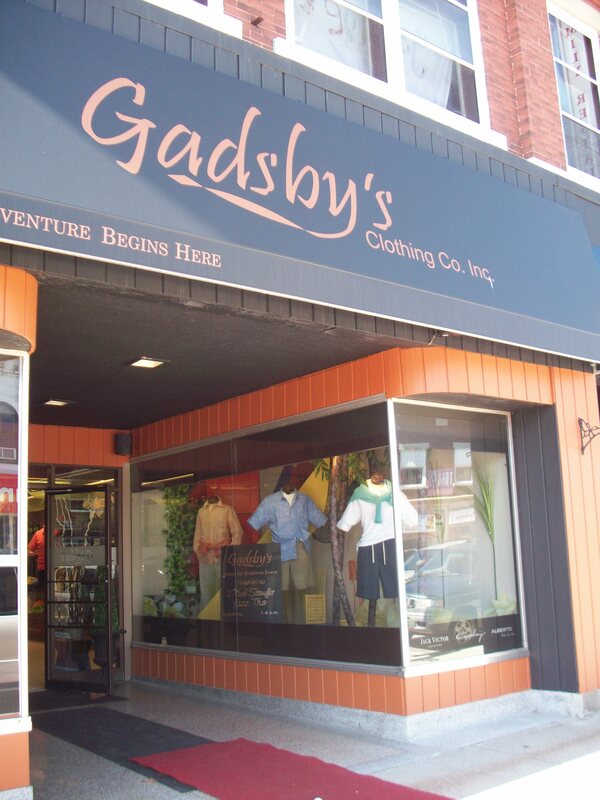 People expressed how much they enjoyed shopping at Gadsby’s and many were long term customers. One man indicated that everything except his underwear had been purchased at Gadsby’s! He was also proud to say that he does all of his own laundry. Thanks for a fantastic day Paul (owner of Gadsby’s)!